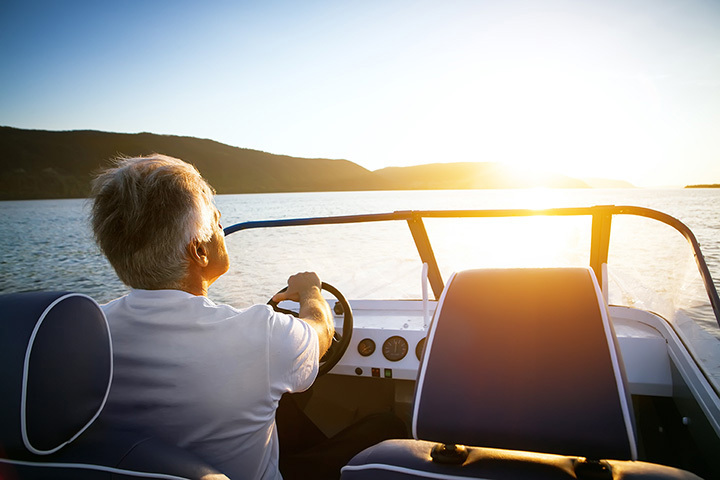 If you love the idea of a day on the water but you don't want the hassle of owning your own boat, boat rentals are the perfect option for you! We've rounded up our picks of the 10 best places in Mississippi to rent a boat. It’s time to set sail! Located just north of Harrah's Casino, the Biloxi Boardwalk Casino opens onto Biloxi's beautiful Back Bay. From there, it's an easy trip into the open waters of the Gulf. With rates ranging from half-days to weekly, you'll be able to customize the trip of your dreams! Wut SUP is a shop located on Gulfport Lake which specializes in renting paddle boards, kayaks, and pontoon boats. They will help you coordinate your entire outing, whether it's a simple afternoon on the water or a large beach party. They also offer private lessons, so you can be confident about your time on the water. If you want to cruise the waters of the Gulf in a relaxing and fun way, rent a pontoon from Nauti-Toons. Their boats hold between 10 and 14 people, so you can bring the whole crew! The Nauti-Toons team will show you everything you need to know, so you'll be cruising like a pro in no time! If you're in the Mississippi Delta, it doesn't get any better than a day on Sardis Lake. When you visit Sardis Lake Marina, you'll have a choice of pontoon boats, Sea-Doos, ski boats, and even jet skis and other fun water accessories. Grab a bite to eat from the Southern Voodoo Kitchen before you hit the water! Pickwick Lake is a beautiful, sprawling expanse of water in the northeastern corner of Mississippi. Get away for a weekend with a visit to Eastport Marina. Not only will you enjoy your day on the water in one of their pontoons, but you can also rent a cabin right on the water, complete with a boat slip! If a canoe trip down a river sounds like your idea of a great time, you'll love Black Creek Canoe Rental. You can choose between a day trip or an overnight trip, and they have a number of different trips to choose from, so you can go again and again and have a new experience every time! Shuttle service is included. With easy access to the Bay of St. Louis, Coastal Pontoon Rental (located in the Diamondhead Marina) is the perfect location to rent a boat for a peaceful day of fishing and sightseeing. Their boat choices include a spacious fishing boat for up to eight people and a cruising pontoon with room for 10. Residents of Central Mississippi can get a day on the water, too! The Main Harbor Store in Jackson is located on the Ross Barnett Reservoir, and they have plenty of boat options to choose from. Even better, they're available year-round! Rent a personal watercraft by the hour or a party barge for the whole day! Enjoy the beautiful waters and white sand beaches of Wolf River for your next canoe trip. Whether you choose one of the half-day (4-4.5 mile) trips or the all-day 10.6-mile option, you'll definitely want to park your canoe or kayak for some quality time on the river. For a day full of family fun on the water, visit Seminary Canoe Rental. They offer canoes and kayaks so you can explore Okatoma Creek at your own pace. In addition, they have plenty of space for camping, whether you prefer to pitch a tent or relax in a cabin—or even your own RV!